This newly constructed, over-sized Terraced lot is priced under construction cost at $275,000. This site features an extra large 500 square foot Casita with a separate bedroom and attached storage/golf cart storage. The even larger attached covered patio area, with a beautiful wood inlay ceiling, boasts a well-equipped outdoor kitchen, seated bar area, and ample space for entertaining family and friends on warm, Summer afternoons. For the cooler nights, the outdoor seating area with gas fire pit is perfect! Inside the Casita, you will find a spacious living area, a kitchen equipped with a garbage disposal, Wolf induction cook top, refrigerator and dishwasher. The full bath features a large, tiled walk-in shower. The site is North-facing and offers convenient access to the Southwest dog park and bathhouse with dog wash facility. 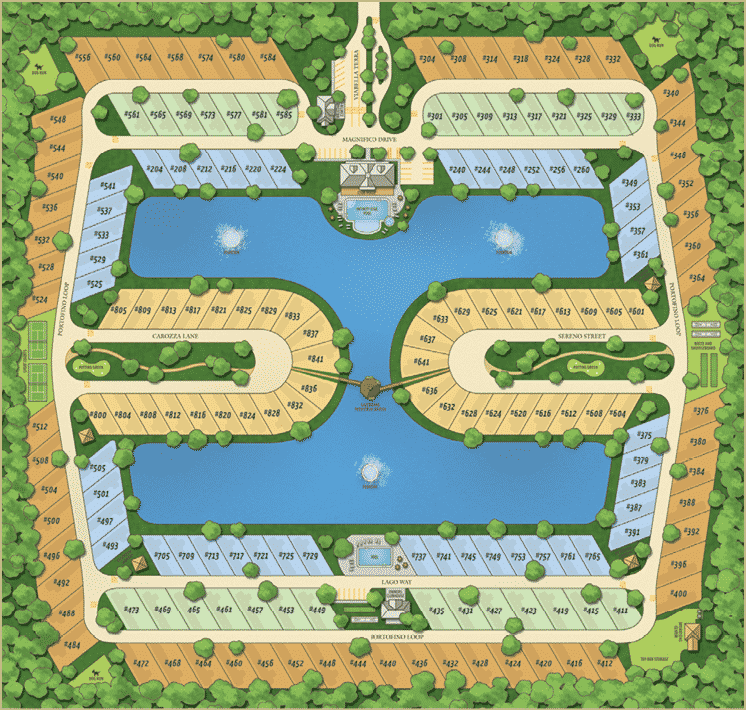 Whether you plan to be a full-time resort resident, or you're looking for a home base to return to from your travels, you will feel right a home on lot 36-468. This parcel is a fee simple deeded lot offering 4,499 sq ft. Extra Large Casita! Priced Below Cost!